This is SO clever – you can attach it to your key ring, or your child’s very favourite toy and neither will ever be lost in the house again – once you’re within a 100-foot bluetooth signal, the tile will start to sing at you and as you get closer the signal will get stronger. Nifty little gadget! What’s their fave hair product? 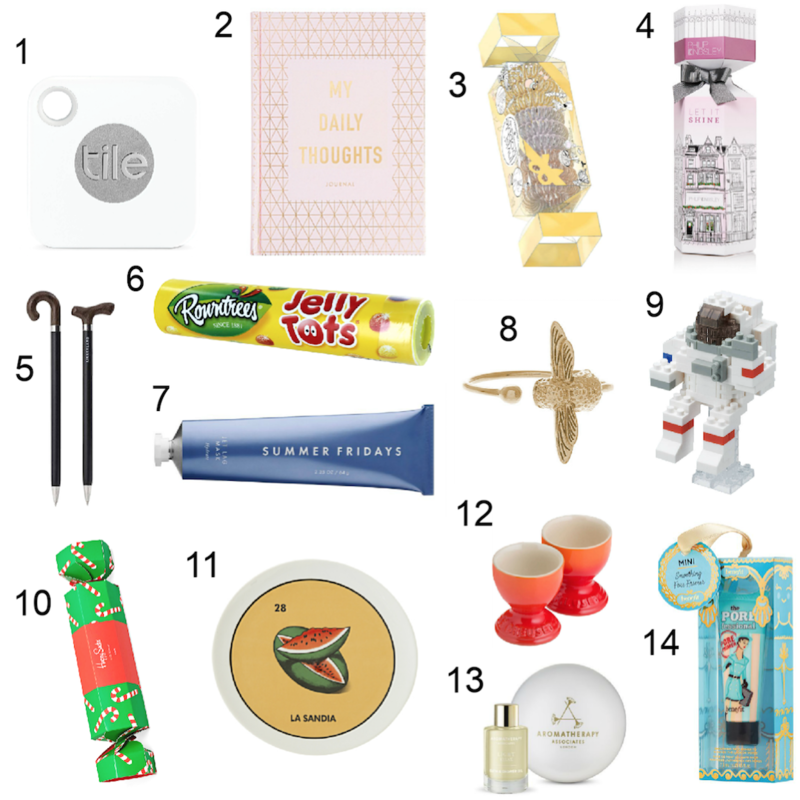 Why not get them it – I always say – it’s best to gift 1 thing you know they’ll actually love and use, rather than a bunch of little fiddly nothings that will end up at the back of a drawer. For the person in your life who is the same age as you, but act like their 90 years old already, this is a good joke gift for them. P.S. Yes I am this person in my friend group, you know me so well! This highly publicised, hugely sought after mask has rave reviews, I haven’t used it myself so can’t give a personal recommendation, but if your friend or loved one is a beauty fanatic there’s no doubt in my mind that they’ll be wanting to try this out, so it’s worth your consideration – and ALL those reviews can’t be wrong right?!? I don’t know who wouldn’t love making this and then having it in their office – it’s fun, it’s quirky and it’s a chic reminder that we all get to be kids and have fun – even when we’re grown up! Himself LOVES this brand – he’s getting quite a name for himself in work I hear – a dapper suit, with flashy socks, that’s my Husband! If I was one of those people who hung plates on the wall of their kitchen, I’d be asking for this plate, I just love the whole aesthetic! Himself and I aren’t really ones for egg cups – we’re a poached egg kind of house! But for those of you who know “Egg and Soldier” devotees, this could be a great option! So you’re on a strict budget, perhaps you’ve got someone in your friend circle’s Secret Santa, think about what make up they love and see if the brand do miniatures, I am loving all of these this year, especially with their Christmas tree ornament packaging – so festive! Also check out Boots for other brands travel size options, they have lots of good stuff! Chanel tinted lip balms make great gifts! Ooh that’s so true – such a great tip Liz thanks for sharing! I love your ideas! Unfortunately there will be no secret santa for me this year. Me neither Dorie – I did one last year which was super fun though and I’m sure another will come up in the future! I really want to try out the Summer Fridays Jet Lag Mask for myself, I have heard such good things about it!